Contact+ activity works to tackle disease with the fast knockdown of pathogens on the leaf, in the thatch and at the soil surface. This utilises the outstanding fungicidal activity of fludioxonil with maximum efficiency. An extremely effective contact fungicide, providing a shield of protection on the leaf to prevent infection getting in and to stop disease spread. Fast action targets turf disease pathogens on the leaf, in the thatch and at the soil surface, offering a valuable opportunity to clean up disease and proven to give long-lasting protection in the cooler months from late autumn to early spring. Medallion TL offers a new and exciting opportunity to provide outstanding high levels of disease control and exceptional long-lasting results from a modern bio-inspired fungicide that offers innovative Contact+ activity. A minimum interval of 14 days should be observed between applications. Half fill the spray tank with the required volume of clean water and start agitation. Add the required amount of MEDALLION TL to the spray tank. 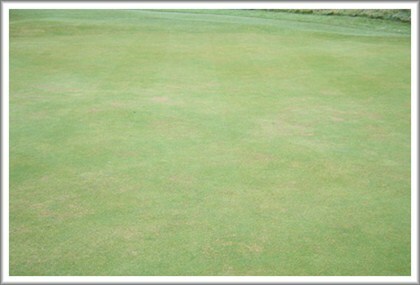 Agitate the mixture thoroughly before use and continue agitation during spraying. Hand-held and knapsack sprayers: Half fill the spray tank with clean water and add the required quantity of MEDALLION TL to the tank. Complete filling, mix thoroughly and use immediately. Thoroughly wash all spraying equipment immediately after use. Typical spray pressure is 2-4 bars. Make up only the amount of spray required for immediate use. Use preventatively especially against diseases occuring in winter and early spring. If diseases recur regularly, check management practices.